Good Leads® enhances IT Healthcare Services Strategic Inside Sales Team Service. The enhanced IT Healthcare Services Strategic Inside Sales Team Service from Good Leads® utilizes their premium outsourced inside sales and B2B lead generation Prospect Builder® services brand and methodology. Good Leads' offering creates a center of excellence in sales funnel development with your company's name on it, stated CEO Bob Good. 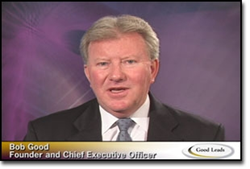 Good Leads® is enhancing their IT Healthcare Services Strategic Inside Sales Team Service. The enhanced IT Healthcare Services Strategic Inside Sales Team Service from Good Leads® utilizes their premium outsourced inside sales and B2B lead generation Prospect Builder® services brand and methodology. This unique service is now available to assist companies with IT healthcare solutions and medical device manufacturers to achieve their 2016 sales revenue objectives. Good Leads has a dedicated team of technology-focused business development demand creation trained specialists to find those net new discovery prospects. "This service is designed to give both small businesses and larger firms looking for new healthcare tech markets a level of confidence in their business plans," said Bob Good, Founder and CEO of Good Leads. "Armed with a dedicated team of business demand creation specialists, businesses can stake a leadership position for the current demand in these new emerging niches and beyond." Good Leads' offering is a very customized and targeted approach to finding new customers and leverages Good Leads prior customer experiences with both IT healthcare offerings as well as the medical device niche. Good Leads has set aside their best technology-focused demand creation business developers to find those net new discovery prospects. "Good Leads' offering creates a center of excellence in sales funnel development with your company's name on it. We will provision a singular work pod for your new software and services offerings that will be equipped with dedicated, seasoned business development professionals, project management, and targeted contact lists all working under Good Leads premium outsourced lead generation Prospect Builder® brand and methodology," Bob Good concluded. As credentials in developing this service niche, Good Leads has experience in generating technology sales leads with providers such as Quest Diagnostics, Intelerad, Fuji Medical, Quality Interactions and Argus Radiology and will be attending RSNA 2016 and HIMSS 2017 in support of their IT healthcare customers.